At the age of 16 and at the suggestion of a Scottish family friend, she made her first visit to Scotland to spend a year as a boarder at St Bride’s, now part of Lomond School. 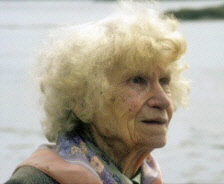 A recital at the school by well known Scottish folk song collector Marjory Kennedy-Fraser, who sang her ‘Songs of the Hebrides’, awakened Margaret’s interest, and she decided to learn the songs for herself. She went on to study music in New York and Paris. It was during this trip that she began to use photography to earn a living, selling prints to newspapers, and magazines such as the Listener. The 5ft 1in tall American used a heavy Graflex 4x5 inch camera and a 17 inch lens, to which she later added a 16mm movie camera. They married a year later and together helped to rescue vast quantities of traditional poems and songs from oblivion. They made their home at Northbay on the island of Barra in a small corrugated iron house — with her Steinway grand piano. 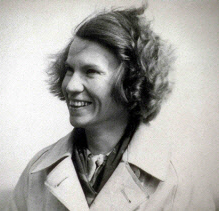 Margaret was an outstanding photographer, and both her still pictures and cinematography contributed to an invaluable archive of island life in the 1930s. She also photographed the Aran Islands, Mingulay, and the people of St Kilda at the time of the island's evacuation. A few weeks after her 101st birthday she had a minor fall and was taken to the Belford Hospital in Fort William, but she faded quickly and died on the evening of December 11. She is buried in Hallan cemetery in South Uist, beside the Macrae sisters. Her Steinway piano, which she brought to Canna when they moved there, is still in Canna House, and in August 2009 the National Trust for Scotland hired a piano tuner to travel to the island to tune the 109 year-old instrument which is now valued at £100,000. 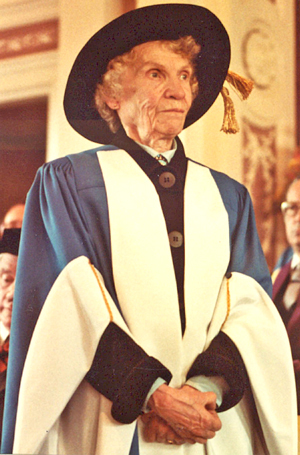 Margaret is pictured receiving one of her four honorary degrees, from St Francis Xavier’s College in Nova Scotia, Canada, in earlier years, and in her 90s.